The Wall Street Journal has announced new roles for Joanna Chung and Jack Nicas. Chung will be moving to the WSJ Chicago bureau to serve as chief. She joined the staff in 2010, and most recently served as bureau chief for legal coverage. Prior to this, Chung worked for the Financial Times from 2003 to 2010 in New York, Washington, London and Hong Kong. Nicas takes over the Google beat in the San Francisco bureau. He came to WSJ San Francisco in late 2015 to cover emerging technologies, including robotics, artificial intelligence and virtual reality. He was previously based in the Chicago bureau covering aviation. 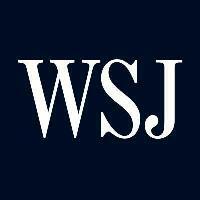 For top global financial news on a variety of industries, follow The Wall Street Journal on Twitter and ‘Like’ on Facebook. Happy and frightened to announce that I'm taking over coverage of Google for the @WSJ. Please send your congrats and condolences on Google+.